Saudi Arabia is experiencing a real social, cultural and economic change, which has become a part of the daily lives of its citizens and residents. As it directly impacts people, sometimes they sense it with hope and joy and on other times related to financial and other concerns which they have not been used to for years. Usually, any change from one lifestyle to another in not easy; because it is related to human behavior and way of living which had been there for years and have become part of the person as a result of upbringing, habits, and concepts that prompt actions. If change was easy; it would have happened whenever a government decision was taken. Humanity would have experienced all successes, failures and wars. It is a long and tough path, but is the only way to protect any society from future disasters. This is the only way to emerge out of the state of weakness and underdevelopment a state experiences. American economist Thomas Swell points out that social changes include “a very wide range of factors, from language to war, from emotional issues to economic systems.” This is because these changes are meant to be profound and effective, real and not just a temporary process. That is why it will impact even areas and realities considered by people as sacred ‎or untouchable as they have been raised with for decades. Addressing the World Economic Forum in Davos Princess Rima bint Bandar bin Sultan spoke clearly about the changes taking place in Saudi Arabia. She has become part of this change through her sports portal that is not limited to sports as purely physical exercise but as a means for greater cultural and social change. Rima bint Bandar highlighted an important issue, related to doubts raised outside Saudi Arabia about the reality of reforms process taking place in the country. She said that she surprised at this behavior, especially that many of the skeptics were journalists and politicians who are supposed to be knowledgeable and aware that the transitional stages take time and effort, and usually faced with reluctance. The change taking place in Saudi Arabia is aimed at building a modern civil state that believes in the rule of the law, citizenship and equal opportunities for the people. It us meant for those directly concerned with the strength and development of their country, and to protect it from terrorism, fundamentalism or underdevelopment. Change is a fact and is not just a romantic dream that cannot be achieved. The country is heading for the future with an open mind based on scientific and constructive criticism, without paying attention to the voices of extremists, the frustrated or the prejudiced. 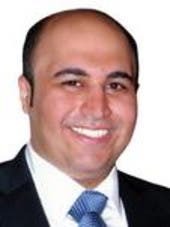 Hassan AlMustafa is Saudi journalist with interest in middle east and Gulf politics. His writing focuses on social media, Arab youth affairs and Middle Eastern societal matters. His twitter handle is @halmustafa.